Always looking for a new luxurious travel adventure, we were more than pleased with what we found in Bodrum, Turkey. 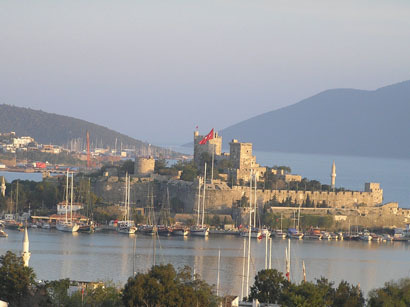 Bodrum is only a 70-minute flight from Istanbul, making it an easy getaway city for a long holiday or a weekend getaway. Turkish Airlines offers two flights daily from Istanbul to Bodrum at 9:05 am and at 7:30 pm. After spending time in Istanbul in March 2006, Edward F. Nesta and I flew to Bodrum on the Turkish Airlines 7:30 pm flight. Accustomed to unusually only receiving a drink if we are lucky on short flights, we were pleasantly surprised when the flight attendant asked us if we would like something to eat and offered us a choice of a large salad or a sandwich; imagine not only receiving food on a 70-minute flight, but having a choice of selections! Bodrum, located on the Aegean Sea, is often referred to as the "St. Tropez" of Turkey, and as one would expect, there are the requisite yachts and luxury hotels. With its gorgeous brand-new resort hotel and spa and its rich cultural history, Bodrum is definitely the perfect playground at anytime of the year. We stayed at the brand-new Kempinski Hotel Barbaros Bay, a gorgeous 173-room Resort and Spa. Luxury service began at the airport, where a driver from the hotel met us to drive us the 30-minutes from the airport to the hotel, and service continued once we entered the door of the hotel. Nestled on Barbaros Bay, the hotel has sensational luxury appointments including a helicopter landing area and a 5,500 square meter Six Senses Spa, which is large enough to provide the utmost in privacy for its spa guests. We indulged in ‘spa journeys' while we were there, where their spa menu offers some very unique treatments. The hotel would be dazzling for a destination wedding, or for an intimate honeymoon. The hotel has 8 restaurants and bars, (some are seasonal), which provides guests with the opportunity to enjoy a variety of dining experiences. Combined with an indoor pool in their Six Senses Spa, infinity outdoor pool, private beach and a plethora of water sports including scuba diving, parasailing, windsurfing, catamaran sailing, canoeing, waterskiing, wakeboarding and more, the hotel is ready to host your perfect summer vacation. They also have advanced technology conference rooms, a boardroom, main ballroom and a large fully equipped business center, making it highly desirable for meetings and incentives. 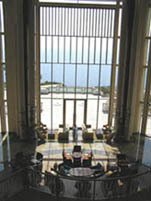 Please read our articles on the Kempinski Hotel Barbaros Bay in the Hotels and Resorts, Chefs' Recipes, Restaurants, Spas and Luxury Products sections. Turkey is known for its almonds, hazelnuts, olive oil and its carpets, and while we were in Bodrum, we had the opportunity to visit an olive oil processing center. Olives are probably the most ecological product known to man; we eat them or they are processed and pressed into olive oil to be either consumed or made into soap. 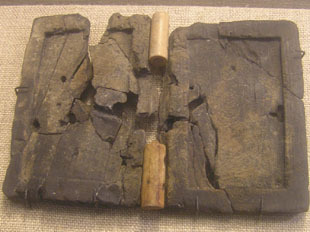 Afterwards the remnants of the olive pits are formed into ‘bricks", which are then burned in fireplaces as a source of heat. The olive is ever considerate, and although the "bricks" do not last long, there is little smell, or so we were told. Our next stop was to visit a carpet factory, however, when we arrived, the factory was closed. 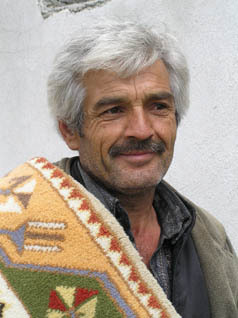 Not to be deterred, our enterprising friend Tomurcuk (Tommy) Göksin asked the men at the local café if anyone had a carpet loom at his home. One of the men replied that he had a loom, but that his wife was the one who weaved the carpets and she was not at home. 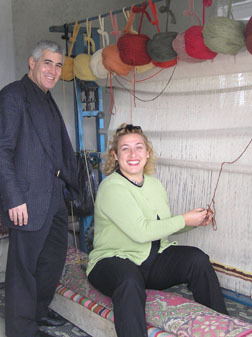 Not to despair, Tommy replied that she knew how to use the loom, and off the four of us went in the Kempinski Hotel Barbaros Bay van to the man's home. Once there, Tommy sat at the loom, and explained that there are two types of knots that are used, the Egyptian and Turkish knots, and then proceeded to tie both types of knots. 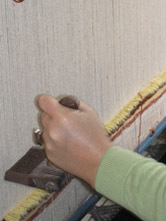 Once a row of knots has been completed, you use a wooden instrument to pound the knots to tighten them. 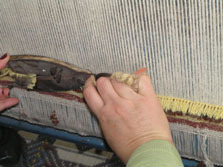 The final step is cutting the ends of the knots to the same length as the previous knots to create the nap. Afterwards, our host demonstrated how durable the carpets are by throwing stone dust on the carpets and then grinding it in with his shoes, as I watched with a bit of apprehension. Tommy told us that is how they clean their carpets and that they beat them to remove the stone dust. As we were getting in the van to leave, our host gave a bag of almonds that he had picked from his tree, so that we would remember our trip to Bodrum. We thanked him for the thoughtful present and drove him back to the café so that he could have another coffee and chat with his friends. Bodrum is an ancient city; the Helicarnassos Mausoleum, built in 352 B.C., is one of the Seven Wonders of the Ancient World. As such, even the sea holds valuable riches. We visited the Institute of Nautical Archeology (INA) in Bodrum, which has the largest underwater archeology library. The extensive research library has 4,500 books, 2,500 periodicals and over 1,500 additional books arriving. While we were there, we had the opportunity to see Dr. George F. Bass, the foremost underwater archeologist in the world, who is the founder and president of the Institute of Nautical Archeology. Taking a tour of INA with A. Feyyaz Subay, Archeologist and Director of Marine Operations, was a thrilling experience as he showed us the Conservation Lab where each artifact that they excavate from shipwrecks in Turkish water is preserved. 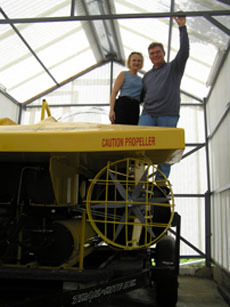 As a Divemaster and Captain of the Research Vessel, he said, "one hand holds many watermelons." 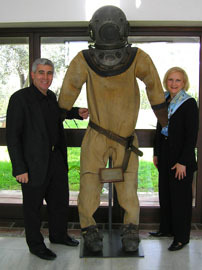 INA can be credited with many ‘firsts'; in 1964, Dr. Bass brought the first underwater submersible (a 1-person submersible) to Turkey, INA made the first underwater excavation in the world, and INA also found the first book in the world. As a diver, I have always dreamed of finding historical treasures, however, what I usually find is lost dive equipment, or on rare occasions, shards of pottery and sometimes bottles, which upon inspection usually turn out to brown glass beer bottles, and recent ones at that. Seeing the conservation lab reinforced the arduous process that an archeologist goes through once he makes a discovery. Once the pieces of wood are excavated from shipwrecks, INA places them in vats of water where they will remain for approximately 6-8 years, with a minimum of 5 years and usually a maximum of 10 years to remove the salt. The water is changed every 15 days depending on what the gauges indicate. After the salt is removed, they are placed in a vat with polyglycol for a period of 4-5 years. Mr. Subay told us that if they can find 8% of the wood from a shipwreck they are able to design the ship on paper, if they can find 15% of the wood, they can build the ship. 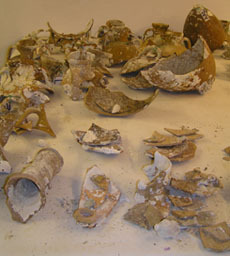 We also saw bits of pottery that the staff was in the painstaking process of reassembling, like a 3-D jigsaw puzzle. 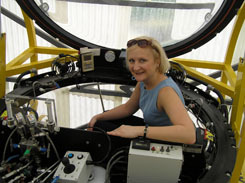 We visited "Carolyn", INA's underwater 2-person submersible, and as I sat in the passenger seat and leaned over to look through the window, my mind began to swim with the possibilities of what they must see during their excursions. Mr. Subay kept us spellbound throughout our tour as he recounted fascinating tales of INA's archeological discoveries. For additional information on INA, please visit their website. After lunch at a restaurant on the water, we went to visit the Bodrum Museum of Underwater Archeology. In 1406 the Knights of St. John in the name of St. Peter, began construction of Bodrum Castle, with construction continuing until 1522. The castle has had a long and interesting history; no longer needed as a fortress, in 1895 it became a prison, on May 26, 1915 the castle was bombed, in 1960 it was used to store artifacts and in 1964, it took on a new life as the Bodrum Museum of Underwater Archeology, where today it houses the world's largest collection of artifacts from underwater excavations. Entering through the gate, we felt instantly connected to the castle with its seven gates and 5 major towers (English or Lion Tower, French or Lace Tower, Spanish or Snake Tower, Italian or Relief Tower, and German or Strong Tower.) 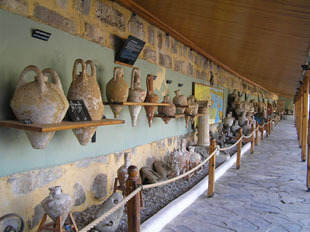 However, what really caught our eye, were the rows of amphorae, including a 4th - 6th century B.C. Egyptian amphora. Mr. Subay explained that depending on the style, type of handle, and marks on the amphora, they are able to determine what country the amphora came from. 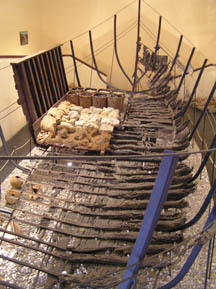 The museum also boasts having a Roman anchor made of bronze, which is the only one in the world. We climbed the stairs to see the towers, and then visited the exhibits from the 11th century Glass Wreck at Serçe Limani. Mr. Subay has had a remarkable career of finding the proverbial ‘needle in the haystack", and on his 2nd day of diving on the wreck, he found a gold earring, which he proudly showed us in the display case. However, when we saw the partially reconstructed 14th century B.C. Uluburun shipwreck, the world's oldest known shipwreck, found at a depth of 56 meters, which they were able to construct from the excavated wood, the historical implications of archeological discoveries really made an impact on us. It took a period of 11 years and 22,000 dives to excavate the Uluburun, and what they found will forever influence history. It was on this shipwreck that they found the first book in the world, which is a little hinged wooden book, which had wax on one side where the owner would write a message, close the book and send it to the recipient. Whether you are an archeologist, diver or passionate about history, the Bodrum Museum of Underwater Archeology should be on your "must visit" list. The museum is open from 9:00 am - 12:00 pm and from 2:00 pm - 7:00 pm, and is closed on Mondays. After our visit to the museum, we went to an outdoor café, where we had the pleasure of meeting with Mr. Yaşar Yildiz, Underwater Archeologist and the Director of the Bodrum Museum of Underwater Archeology. Mr. Yildiz and Mr. Subay entertained us with stories of their dives, and unlike many divers who often tell ‘fish tales', these men actually have the Museum to support their claims! It was a beautiful blue-sky day, and we lingered along the pier admiring the yachts, browsed through the shops, and on the way back to the hotel we stopped to take photographs of the amphitheatre. We had a final dinner at Olive's at the Kempinski Hotel Barbaros Bay and listened to guitarist Volkan Güreltöl sing one last song, before retiring for the evening. In the morning, we had an early breakfast, and then returned to the airport to take the Turkish Airlines 9:05 am return flight to Istanbul where we would be spending one more night before returning to the United States. This may have been our first trip to Bodrum, but I doubt that it will be our last. Read our articles on Bodrum and Istanbul, Turkey in the Destinations, Hotels and Resorts, Chefs' Recipes, Restaurants, Spas and Luxury Products sections.